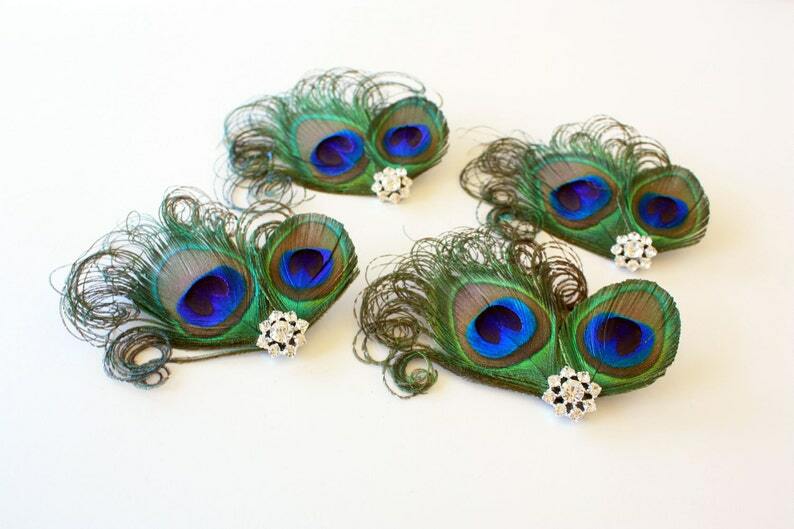 A gorgeous statement headpiece for your bridesmaids! Each clip has two peacock feathers, one curled and one neatly trimmed, accented by a stunning rhinestone jewelry piece. An alligator clip is found beneath each for easy fastening. Each clip comes in a little box perfect for gift giving, storage and safekeeping.